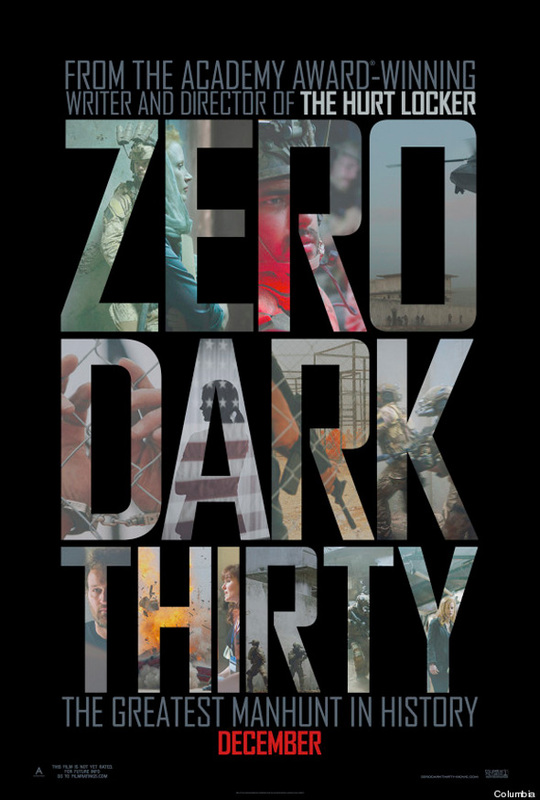 The first poster for Kathryn Bigelow's Zero Dark Thirty was mostly classified, only containing a blacked out title and release date. It was a nice little tease, but it's the theatrical trailer for the thriller about the hunt and assassination of terrorist leader Osama Bin Laden that's truly fantastic. The film comes from The Hurt Locker director Kathryn Bieglow and stars Mark Strong, Kyle Chandler, Jessica Chastain, Jason Clarke and Joel & Nash Edgerton. Now a new poster has arrived showcasing the greatest manhunt in history with stars, stripes, soldiers explosions, helicopters and dramatic close-ups. It's pretty decent. Look! Bush, oil, Obama, war, propaganda...uhh uhh AMERICA BAD EUROPE GOOD!! Aren't Americans tired of these sorts of movies yet?